Heunginjimun Gate is one of the four main gates of the old Seoul City (Hanyang). One of the famous landmarks due to its historical function. It is a must-see old landmark in the area. I know that I have been here many times in the past, but this time I closely examined this artifact and took more photos. After examining this gate, you can proceed up to the old city wall and hike further. 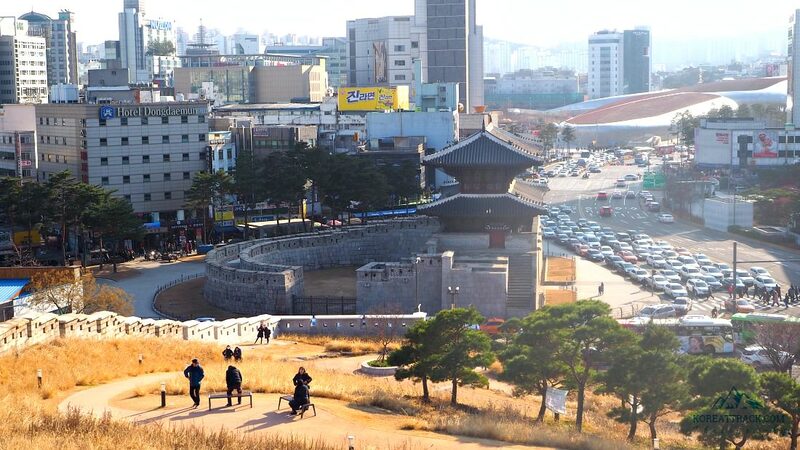 Nearby is a dedicated museum: Seoul City Wall Museum. The gate is available for sightseeing all year round. It was designated as Treasure No.1 in 1963 by the national government. 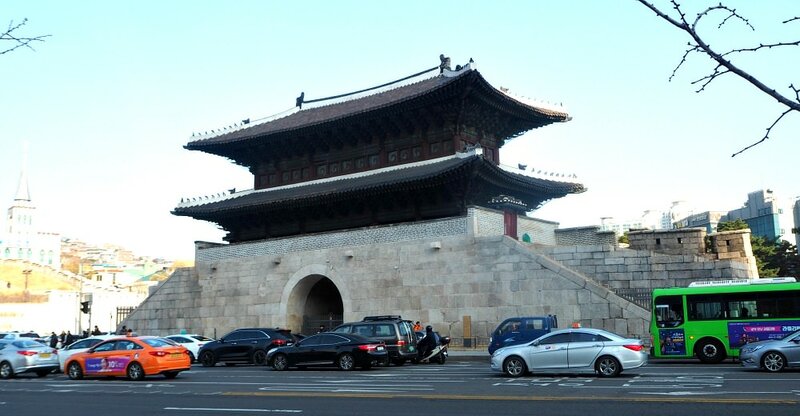 Also known as Dongdaemun Gate, Heunginjimun Gate used to house the relevant government facilities. Literally, “Dongdaemun” means the great east gate. 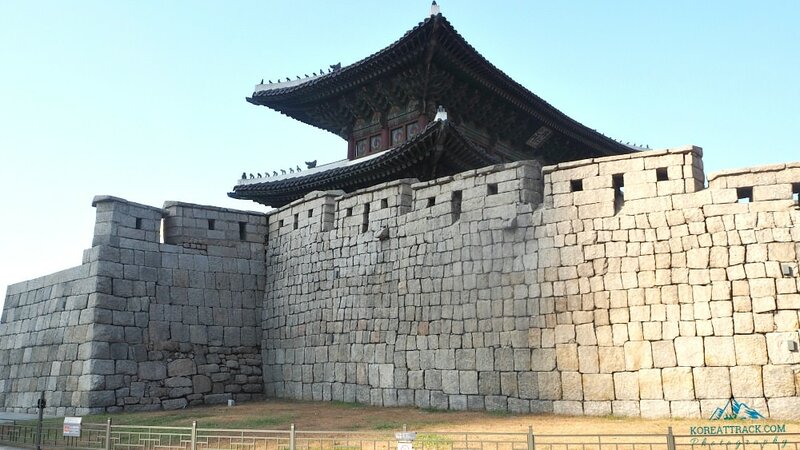 It was used as the main gate on the east side of the outer wall of Seoul City wall among the total of eight gates. 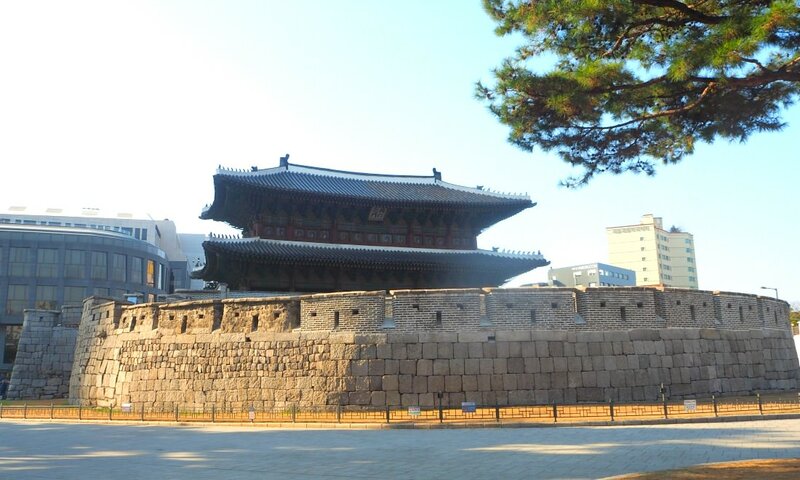 King Taejo constructed this gate during his 5th year in 1396. However, changes were made during the reign of King Danjong (1453). Again, it was rebuilt during the reign of King Gojong in 1869. Heunginjimun Gate stands out when you reach the area. It has its own commanding look that you cannot ignore. It is conspicuous and beautiful as well. The gate is a two-storied structure with a hipped roof. The roof has five front compartment and two side compartments. The replica and the digital demonstration in the museum show how complex and complicated the roof when constructed. Layers and layers of materials (wood, mud, tiles, etc.) composed the whole roof. Heunginjimun Gate is known to be the only one among the eight gates built with Ongseong. This indicates the high importance of the gate to protect the old Seoul City. Ongseong structures are usually built to protect mountain fortresses just like those in Namhansanseong (Mountain Fortress) in Gyeonggi Province. Although they look different, however, they function or used in the same manner. Take Seoul Subway Line 1 or 4 then go to Exit 6. After exploring Heunginjimun Gate, you may proceed to visit more historical or commercial places nearby. Thanks for reading this article. Hope you have a pleasant journey. 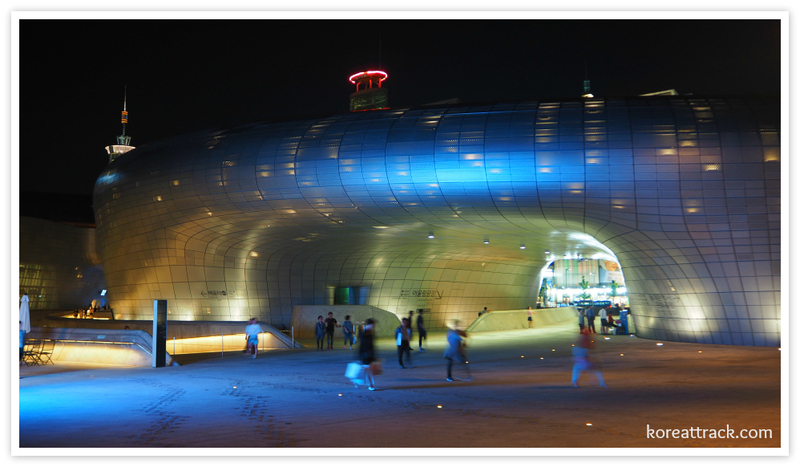 Songdo Skywalk and Turtle Island article describes a nice and easy but exciting place to visit. The Skywalk has fanstastic views of the blue sea and beach area. Songdo Beach is a charming and popular beach in Busan City. It attracts both local and foreign visitors who enjoy both the sea and nearby travel destinations. Dongbaek Island Park (or Dongbaekseom Park) is a beautiful island beside Haeundae Beach, Busan... Filled with Camellia flowers, nice views, photogenic spots.